How to show the sum of the two column values in the summary? 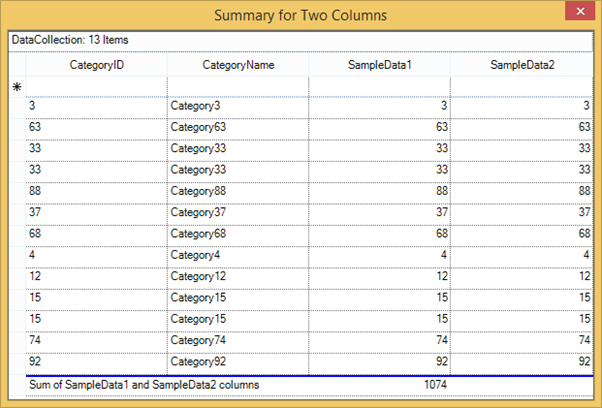 In order to show the sum of the two columns value in the summary, custom summary can be used to customize the summary values. To create the custom summary, you can use the SummaryType.Custom option for summary row descriptor. The custom summary can be created by deriving the SummaryBase class and override the methods of it. For more information about the custom summary, refer this link.